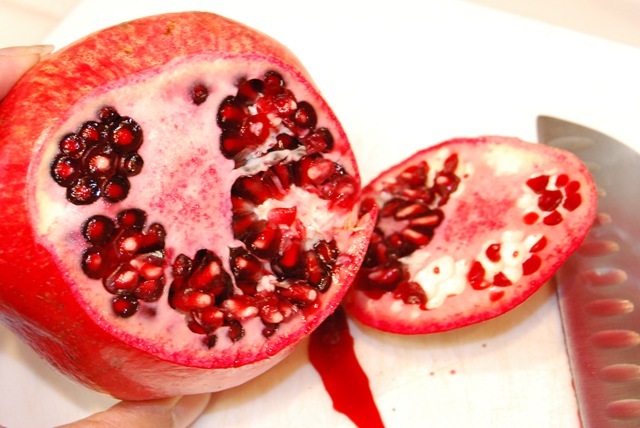 POM Wonderful sent me a box of pomegranates. 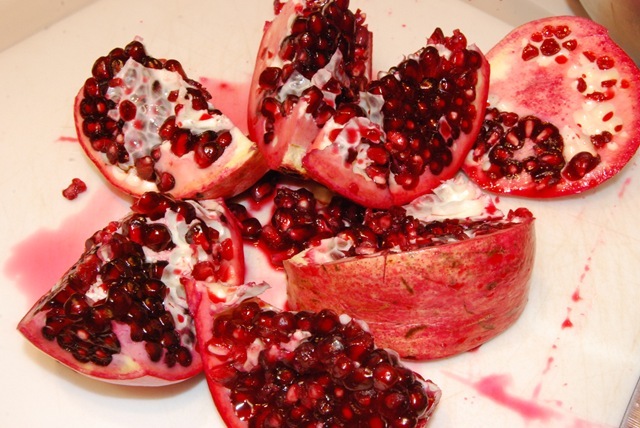 It’s pomegranate season and I have been enjoying making different recipes that incorporate pomegranates. The holiday season is here and I welcomed it with open arms with this festive loaf. 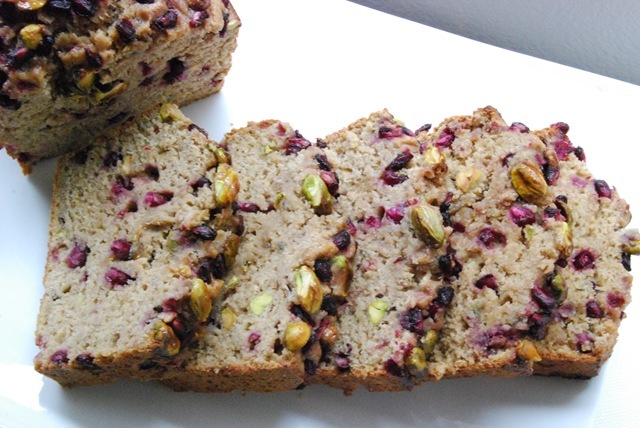 This bread is definitely different with nutty taste of pistachios, the unique tartness of the pomegranate and the familiar scent of banana. 2. 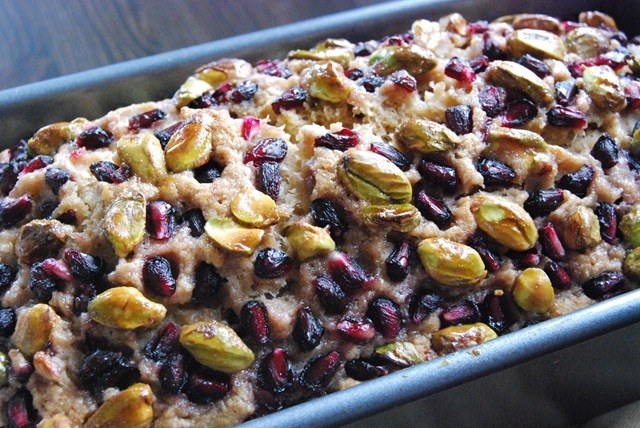 Grease one 9 x 5 x 3-inch loaf pan. 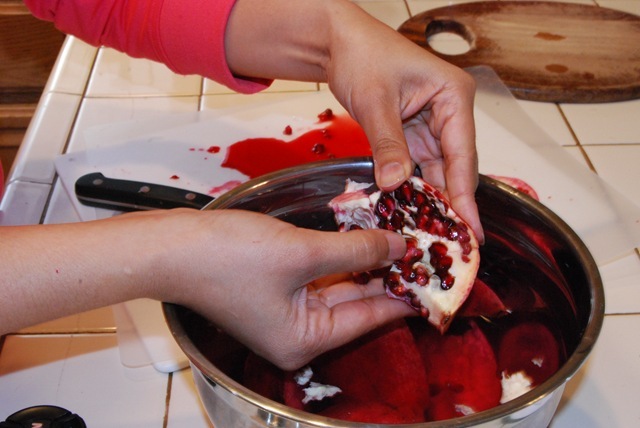 See step by step pictures below on how to open a pomegranate. 4. In a large bowl stir together flour, sugar, baking powder and salt. 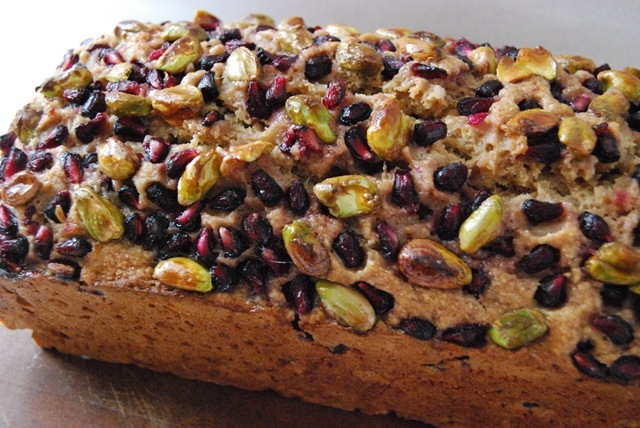 In a small bowl stir together bananas, oil, milk and egg; stir into flour mixture with arils and the chopped pistachios just until moistened; do not over-mix. 5. Spoon batter into prepared pan. 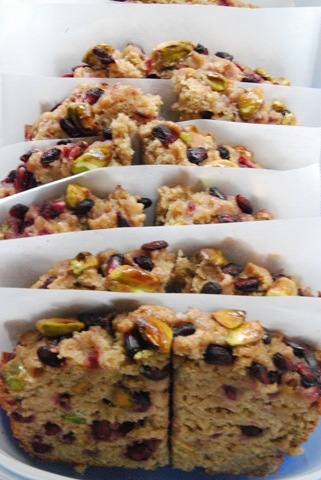 If desired, sprinkle a few whole shelled pistachios and a few additional arils over the batter for garnish. 6. Bake for 50 to 60 minutes until wooden pick inserted in center comes out clean. 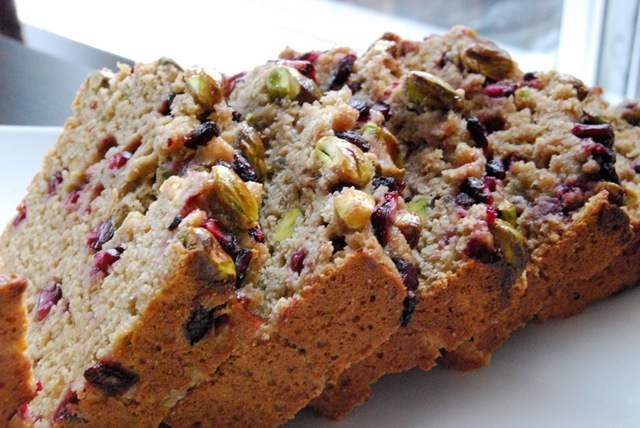 Cool in pan 10 minutes; remove loaf from pan and cool on wire rack. Store bread tightly covered; or wrap tightly in foil and freeze for up to 1 month. (Optional – I brushed homemade pomegranate jelly on top for additional glaze). 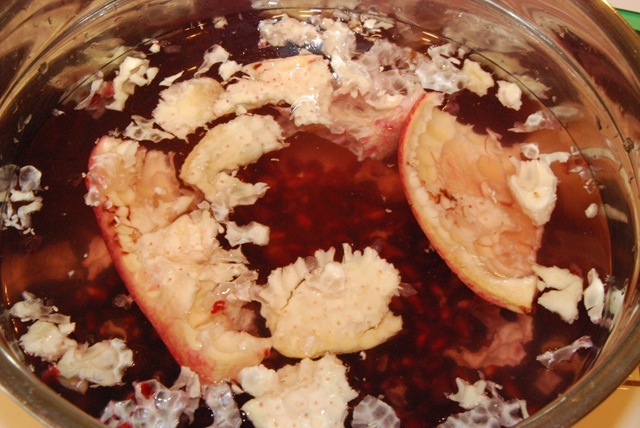 My homemade POM Crimson Jelly. This loaf is thick but moist. It’s not very sweet (you can add more sugar if you like a sweeter bread). 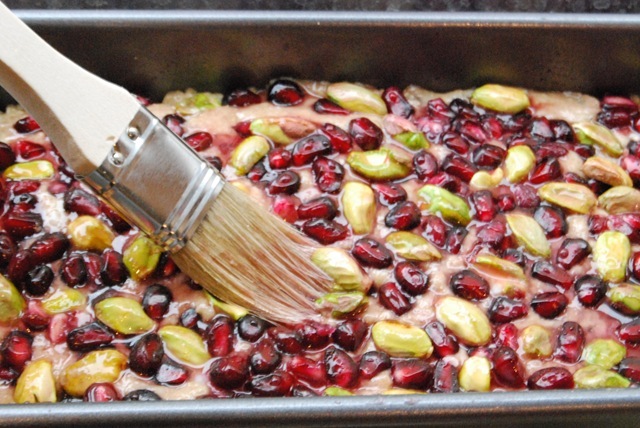 The additional toppings of red pomegranate and green pistachios looks a lot like Christmas. 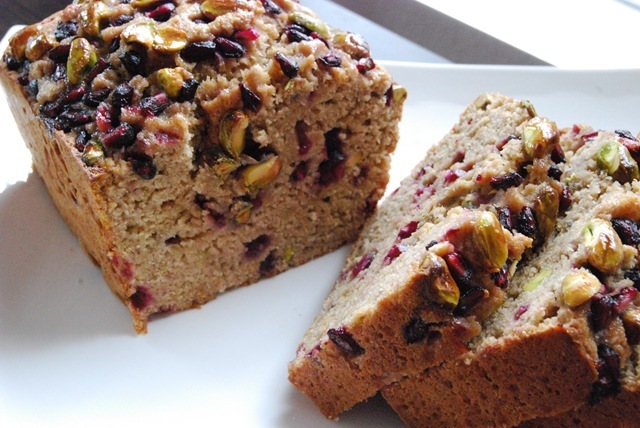 Taste great paired with your morning coffee or afternoon tea. Store until ready to serve. 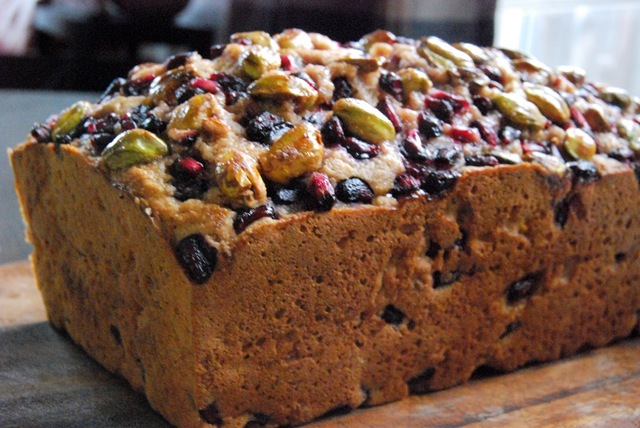 Do you have a traditional bread or dessert that you prepare during the holidays? I usually make brownies and cookies, but now that I have this recipe, this will definitely make it in my baking rotation. This recipe makes me giddy. 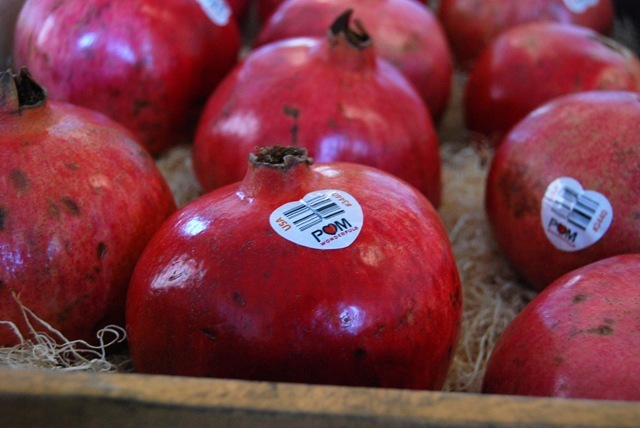 Pomegranates AND pistachios? YUM. A must-try. Hollie, if you don’t want to make it in bread form, you can also do muffins too. That’s what I’m going to do next time when I’m planning to give it away as gift baskets. Just lessen the cooking time and watch it carefully towards the end of the cooking time. I’ve never seen or heard of bread like this, it makes me really curious about the flavor. And no, I haven’t changed my name to Food Loving Polar EAR 😀 sorry for the typo! Anne, your comment made me laugh out loud this morning, thanks! i love how colorful that bread is!! How fabulous are you? That bread is a beauty! I am, I am…j/k 🙂 It seems like we both have been on a baking kick lately, ha ha ha! This bread looks crazy good! I wish I wasn’t allergic to pistachio! Karin, you would have loved it because of the banana. I’m sorry you’re allergic to pistachios, you can substitute with almonds? Hi Jackie, festive is the right word to describe it. That whole loaf looks like christmas! Yup, it was so pretty as a whole loaf, I took my time cutting it into pieces. This bread is gorgeous! You made such great changes to the recipe – that’s pretty much what I would have done. I bet this would make unique french toast. Coming to you via Baking is Hot. What a great presentation. 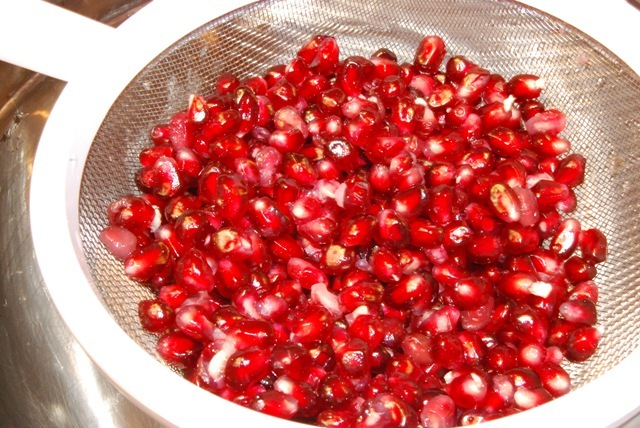 I have some frozen red currants from the summer in the freezer. I might have to try this recipe with those. Just when I thought I have had it with bananas. It just got interesting again. Thanks. 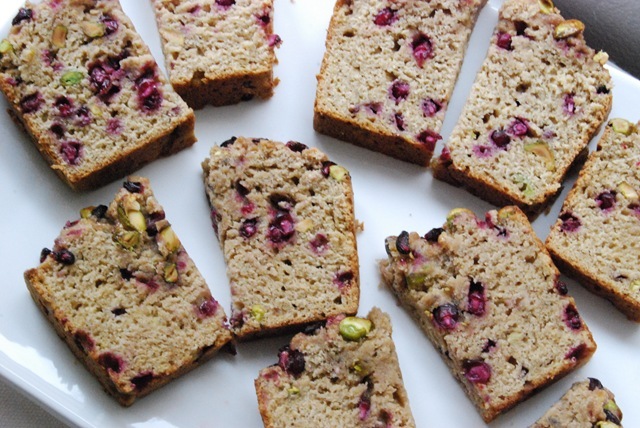 I am definitely going to try baking this tomorrow – I will post it on my blog (www.moreoatsplease.com) & tag you. 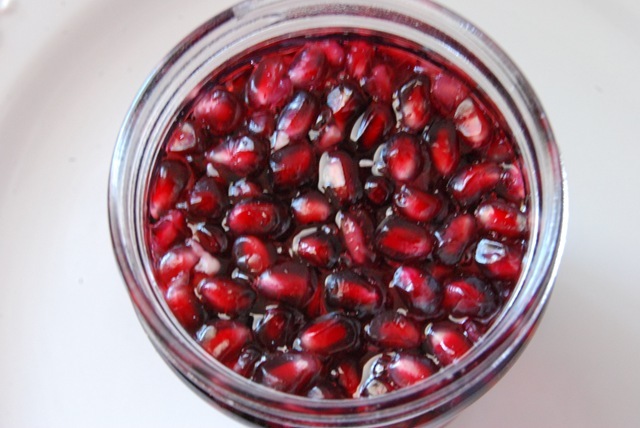 I don’t have pomegranate on hand, so I’m thinking about using cherries and whipping up something that way. This is the first time I’ve been to your blog and it’s awesome!! !